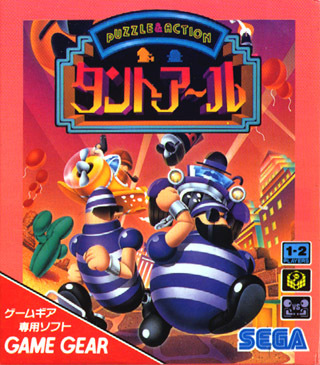 Originally released in Arcade and on the Megadrive, Tanto-R is a compilation of 12 mini-games intended to play with four players. A precursor to games we know today as 'Party' games. The later released Game Gear version features the same mini-games (+ one new one), but unfortunately lacks a real 4 player mode. It is still very fun to play.